The Brausse Group brings over 30 years of experience to the design and manufacturing of its die cutting and folder/gluer machines. 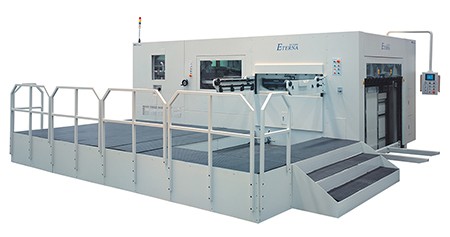 Now we are pleased to present our efficient and precise production lines including automatic and semi automatic die cutting and creasing machines for corrugated boards. The Brausse Group devotes itself to continuous improvement. Technical innovation, outstanding quality and premium service are the competencies with which we gain our customer’s loyalty. All of the latest production lines are designed with Bobst Group technology, representing the highest quality machines available.